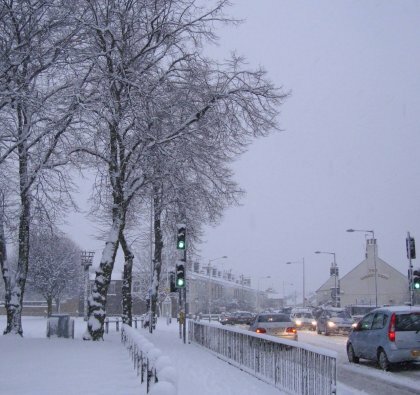 Peterborough has now become part of the ever expanding list of new areas where we are delivering a range road and car park gritting services, just one of many new towns and cities across Cambridgeshire. Our growth continues to provide support to more companies and enable them to take advantage of our trusted and reliable gritting services. From our depot near Bedford, we provide our road and car park gritting services to areas such as Peterborough, Corby and Huntingdon. By utilising our field based teams, we are able to provide a rapid response service when required. In order to maintain a high level of road and car park gritting services across the Cambridgeshire region, we have continued with our policy to invest in a new in new vehicles and spreaders which, we believe, will further enhance the trust our new customers will be looking for in a gritting company. As our gritting service expands in to new areas in and around Cambridgeshire, we continue to ensure that our emergency gritting service forms an integral part of approach. We know that to be a successful gritting company we need to ensure that there is built in flexibility to our service which can react promptly to emergency gritting requests. Preparations are now underway to ensure everything is in place to help our new areas during the winter and our teams will be ready for the cold weather. If you would like to arrange for our road and car park gritting services to support you over the coming winter season, please contact us and we’ll be happy to put a plan in place for you.